Traditional braces made of high-quality leather and linen. The rustic vintage grey men's braces in grey are V-shaped and are attached near the hips with two metal clips on the waistband. Directly above it is strong natural leather, which is decorated by two edelweiss flowers made of metal. 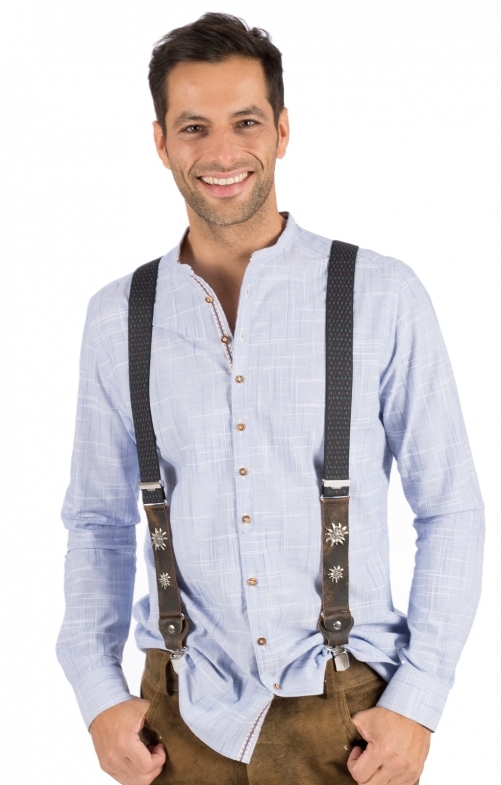 Then the traditional braces move to grey-patterned linen. The length is adjustable.